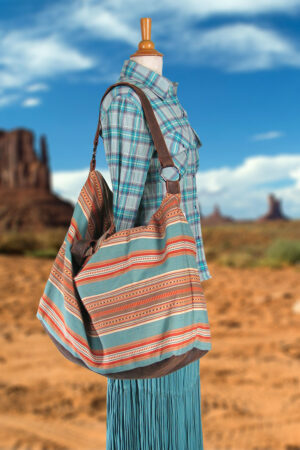 A beautiful purse that is made from hand woven and hand dyed wool that is perfect for carrying all your essentials. The wool is woven on primitive looms by indigenous artisans in the remote village of Teotitlan del Valle in southern Mexico. These small blankets are custom made for Patricia Wolf and sent to her Texas design studio. 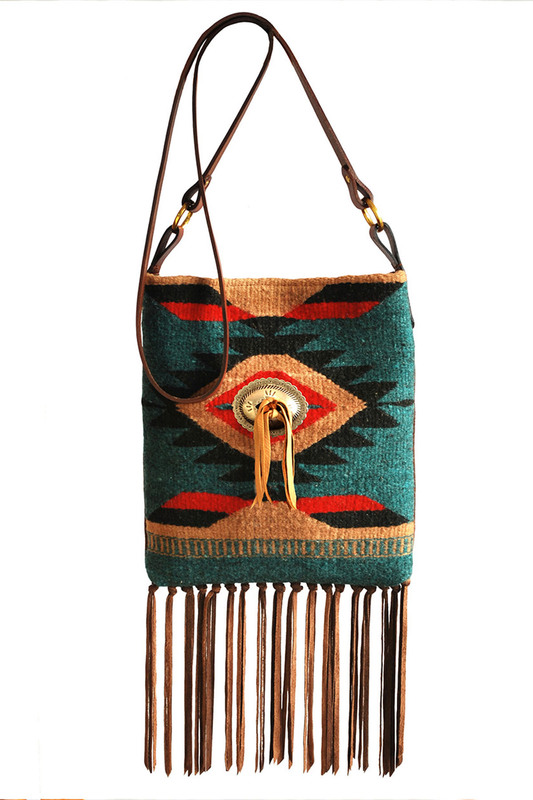 She then stitches a deer suede leather back on the blanket to create this Bohemian styled bag. 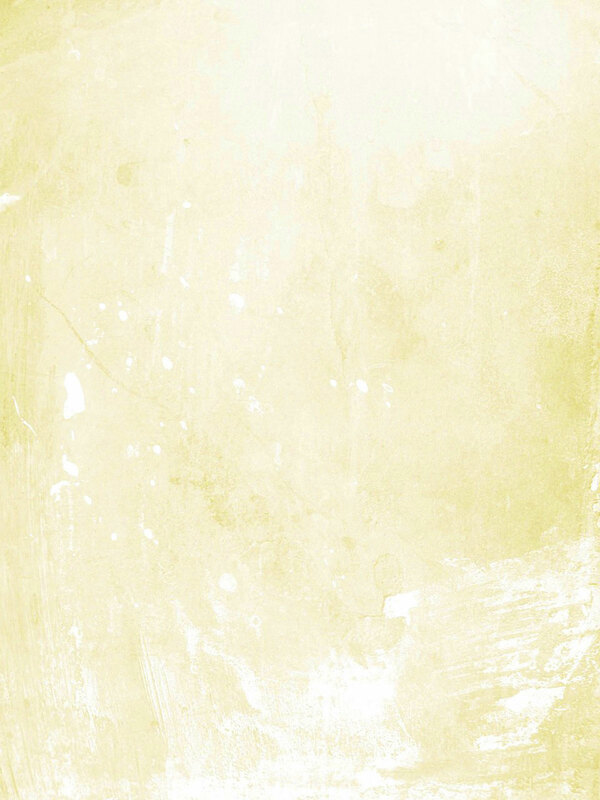 It is fully lined with beautifully printed 100% cotton. 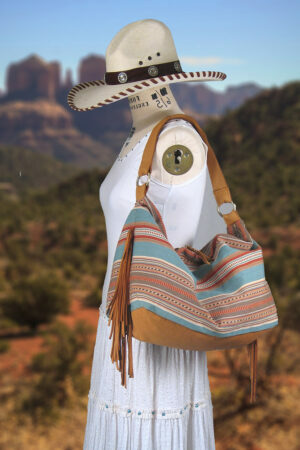 The bag is embellished with a 3 inch German silver concho, deer suede fringed tassels, and an exterior pocket is added to the back for easy access to a cell phone. 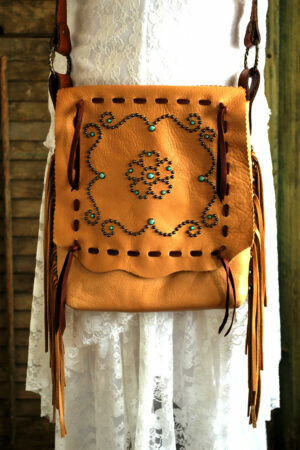 A sturdy cowhide cross body strap fastened with antiqued 1-1/4 inch brass rings and a magnetic closure secure the bag. 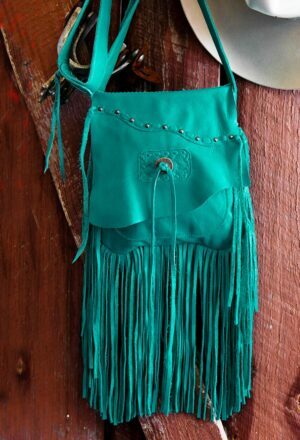 Measures 10″w x 11″h x 1-1/2″ gusset with 7″ fringed tassels and 54″ leather strap.